In this paper we address the hardware design of delay-based audio effects. The paper focuses on the fixed-point hardware implementation of the effects delay, flanger and chorus. 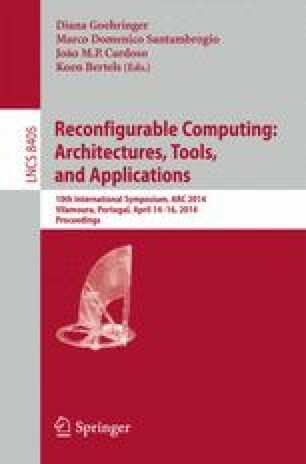 This work aims at providing a proof-of-concept for the application of reconfigurable devices in real-time audio processing. The results yield that FPGA devices enable for the simultaneous application of a high number of digital effects using a high sampling rate and providing a very low latency.